“As I started to work as a Coordinator, this was my first case and that too from Uttar Pradesh. It was evening when I received a call from Childline that the very first and new case of a child has been received. The boy was found at CST Railway station. After completing all the necessary procedures, the boy was brought to CCDT’s Child Care Institution (CCI)- Ashray. The boy, barely 12 years old, was found looking lost in the crowd of Mumbai. After completing all the paperwork, the rescued boy was placed in our center. I started to interact with the boy and ask about his family and the reason for coming to Mumbai. As the boy was new to the shelter, he was introduced to the other children to put him at ease, and feel relaxed around them. The next day he was taken to the Child Welfare Committee, and orders to keep the boy in the CCDT’s CCI was obtained. The social worker and the team left no stone unturned to reach out to the boy and helped him open up. From whatever little the boy shared it emerged that he was from Uttar Pradesh, and very angry with his parents thus he ran to Mumbai. His father sold vegetables in the market to manage their family expenses. To support his family and to earn the pocket money he too started selling vegetables. At the tender age of 12, instead of playing the boy was pushed to work after school. For the past five days, he had been living at CST station by shuffling from one platform to another. With whatever money he had with him, he bought food from nearby stalls. On further exploring, the primary reason for coming to Mumbai, he revealed was that Mumbai is a city that dazzles with films being shot every day. It is the image he had created of this dream city that attracted him to come here. On broadly understanding the whereabouts of the boy in Uttar Pradesh, the police station there was immediately contacted in order to trace his family. 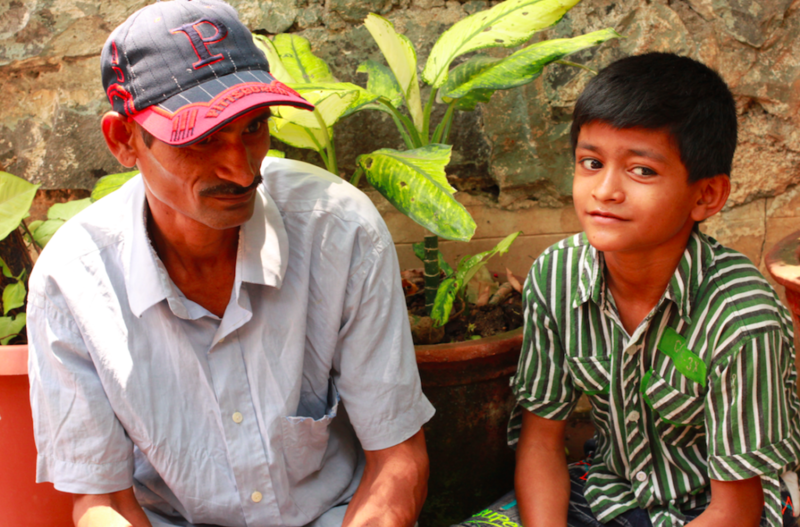 Due to our persistent efforts, the boy opened up further and shared the mobile number of his father. His parents were immediately contacted and asked to come to Mumbai. Our continuous efforts paved way and the parents came to Mumbai. After completing all the procedures at the Child Welfare Committee, the boy was handover to the parents. Both the boy and his parents were counseled. The boy was finally reunited with his parents and he returned to Uttar Pradesh.